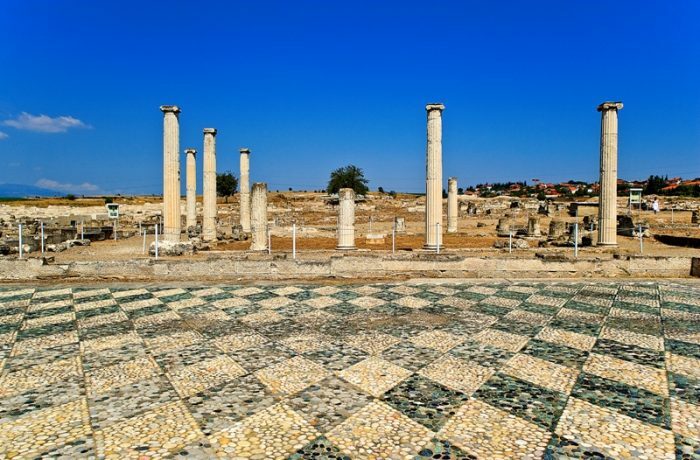 In less than 45 minutes away from Thessaloniki, you can visit the ancient city of Pella, the capital of the Macedonian Kingdom where Alexander the Great was born and raised. In its museum, you will have the chance to admire mosaics dated back to the 4th century and other pieces of Macedonian art. Edessa is another city worth visiting, where you can enjoy Greece’s largest waterfalls and the magnificent panoramic view of the surroundings. Edessa also offers alternative activities such as bird-watching or hiking. Close to Loutraki village, at the foot of Kaimaktsalan Mountain, you can visit the thermal baths facilities of Pozar.